1. A ceramic pitcher that'll sit on your kitchen table looking as if you plucked it straight from the garden. 2. A skin clearing facial wash for anyone who is tired of breakouts and spending tons of money on skincare that never works. *sips tea* Tea tree oil is a simple but effective antiseptic that targets acne swiftly. 3. An ombre vase to make any shelf or table come to life with minimal effort and cost! 4. A lip sleeping mask perfect for cracked or dry lips that are suffering through this cold harsh winter. 5. A peel and stick wallpaper designed to adhere to your wall or work surface without all the fuss. Woodn't it be amazing if all products were this easy to apply?! 6. A faux fur plush blanket you can keep on the couch for when you Netflix and are chilly. 7. 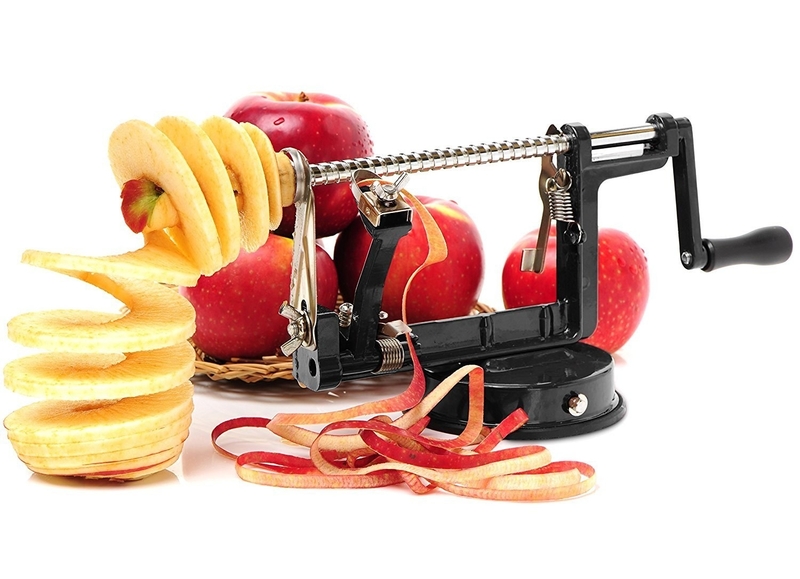 An apple peeler guaranteed to get the job done faster! 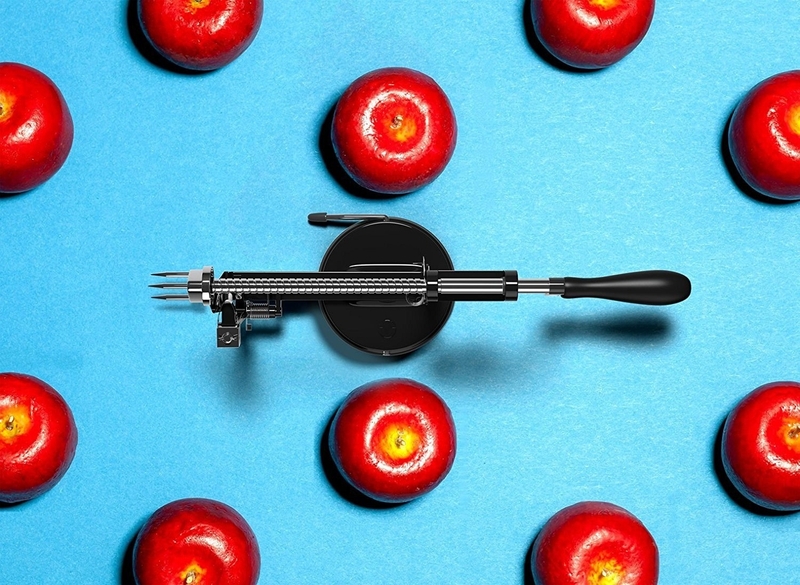 The speed at which your apple will turn into perfect slices is so appeeling. 8. 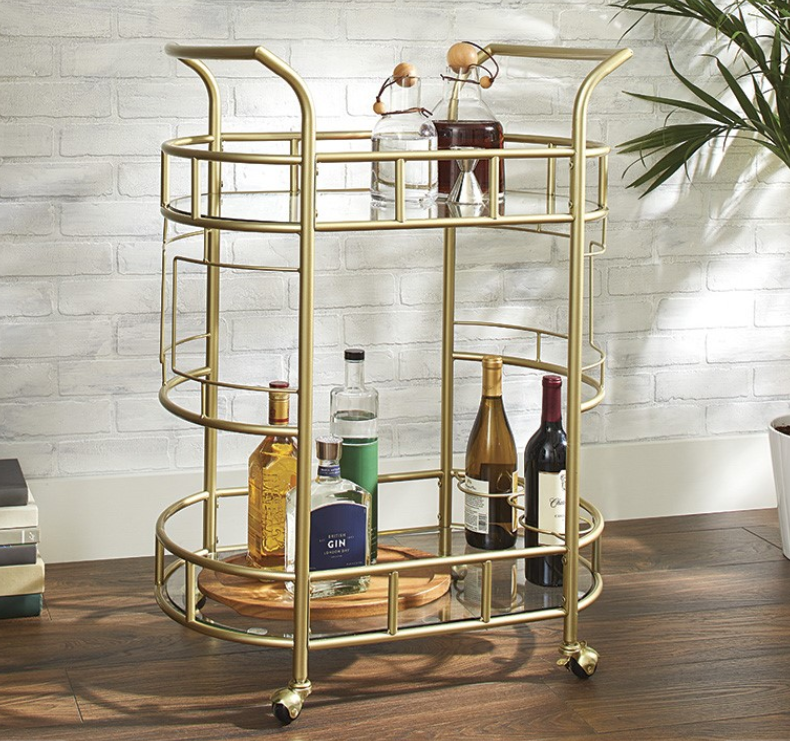 A golden cart that'll make you want to host all the parties from now on. 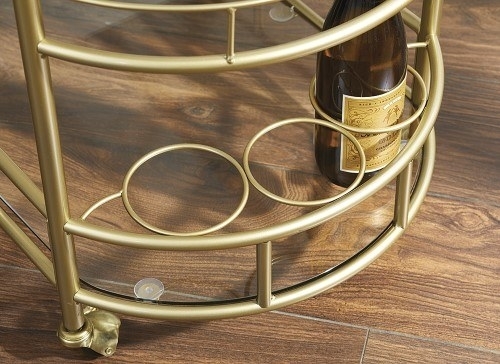 It even has circular holds at the base so you can properly display that bottle of brandy you're never ever going to drink. 9. A shower curtain set with a nice chevron design that will surely elevate the look of your bathroom. 10. A six-piece set of mugs painted with the most soothing indigo color so you can sip your tea and stop feeling blue. 11. A tiled outdoor fire pit ideal for keeping you warm on those nights you spend outside with your friends and family. 12. A set of three rugs to keep the stunning design you've chosen consistent throughout your house. 13. A stand alone hammock with a built-in pillow you'll probably want to quit work and lounge in all day. 14. A wash-off mask made of organic black sugar for a deeper exfoliation that leaves your skin hydrated. 15. A wax warmer with a light meant to add brightness and soothing scents to your room all with one easy to use product. 16. A set of 28 pyrex storage containers for all your storage and baking needs! 17. A single-cup coffee maker ideal for anyone who is always on the grind and doesn't have the time for messy clean-ups or fussy brewing. 18. A canopy swing that'll surely make your backyard the place to be this summer. Kick back, relax, and don't forget the sunscreen! You wiping away tears of joy with all the money you just saved.